Certified Real Estate Inspections by Gregory Vishey, BSME, MSA, CRI. Please print this checklist and use it as you buy your house! _____ Start qualifying inspectors before you make an offer. Get your list down to 1 or 2 qualified inspectors. During peak times, your first pick may not be available when you need him/her. Rushing to take what you can get is a bad way to measure risk. _____ You are buying an inspection and a huge amount of communication. Choose your inspector only after reviewing a copy of a sample report and their contract. Look at a friend's or co-worker's report to give you some perspective. Many words exchanged at the time of the inspection disappear from your mind in the heat of the buying process. If you go back to the report to look for details regarding a problem, you want them to be there. The report is VERY important. Get a great report! Your inspection can involve a large number of activities that are beyond the services of a Home Inspector. Examinations for wood boring insects, mold, radon gas, hazardous materials and chemicals, water quality, sewer and septic systems are usually purchased separately by a buyer and can involve multiple contractors over many days. Ask your inspector what services they offer and which are recommended for this home. Home Inspectors frequently advise buyers to contract additional services when unique risks are apparent. _____ When you make an offer, be aware of the two major time constraints that are printed on the page (these can be changed as most offer terms are negotiable). Try to get 7-9 days to do the inspection and 1-3 days to review the results before accepting or rejecting the inspection results. This extra time works for your benefit as you get estimates on needed work or confirm warranty coverage on major systems. On occasion, this time is also needed for getting lab results on things like discovered mold, asbestos, radon etc that can affect a home's value or safety. _____ You should get a copy of the City's Permit History for the property. This is available from the City Engineer's office and will reveal details on the builder, major repairs, upgrades etc. On some homes, this may be your only link to warranties on windows and roofs where other receipts and paperwork are not available from the sellers. The Permit History may also identify repairs to hidden systems such as the sewer or wiring that otherwise would not be detectable. Permit Histories record past fire or other major repairs even when sellers fail to disclose them and therefore a Permit History should be regarded as a valuable addition to the inspection preparation by the Buyer. _____ Get copies of receipts on major appliances, windows, and other repairs from the seller. Receipts for roof work, windows, waterproofing, and furnaces for example, will usually identify the material and labor warranties. This is important to you if warranties are still in effect. _____ Ask if there are any service contracts in effect. The Gas company for example, offers a service contract on all the gas appliances that is valid for a year and may be transferable. This might save you unneeded expenses if something breaks after you move in. _____ Look at the front (or rear) yard and ask which way the sewer line leaves the home for the city sewer. Look for large trees that might be attacking the home's sewer line. 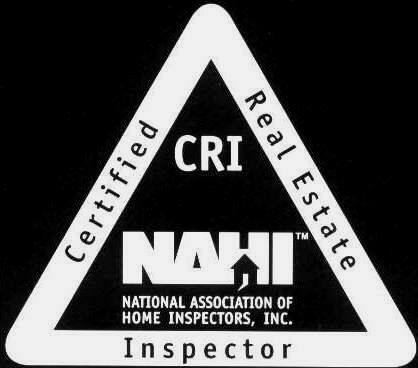 This will soon become your responsibility and your home inspector will not be examining this critical area. Ask the seller when the last snaking of the sewer line occurred. If recent, call the plumber and ask what size cutter was used there (a 4" cutter is normal and a 1" cutter means big trouble). If there is no data and there are large trees nearby, you may want to contact a plumber to run a snake down the sewer line or to conduct a video inspection of the sewer line. A video inspection will tell you the full condition of the pipes and a snaking will only indicate if they are clear. Pipe snaking costs around $80 and video inspection around $100-$200 depending on the contractor chosen. _____ Try to get the inspection done as early as possible in your inspection period. This may be just the first phase of several other things needed at the home that are advised by your inspector. You don't want to run out of time without firm knowledge of the furnace, roof, or electrical systems, for example. _____ During the inspection, feel compelled to ask as many questions as you need. This might cause the inspection to run longer, but there are important issues and you need answers to weigh your risks. A good inspector will give you all the time you need. Don't be rushed through an inspection! 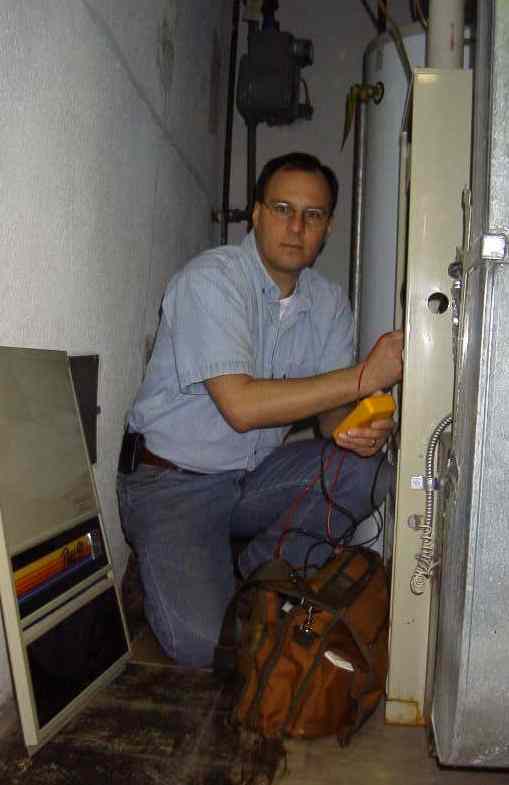 _____ If your inspector advises you to hire an electrician or a heating/cooling company for some further "investigation," then please do. Often, these added inspections reveal that apparent conditions are actually much worse and this can affect your decision to buy a house or not. _____ Read your ENTIRE report. Yes, there may be a lot of information in a good report, but some homework on your part will translate into your being a smarter buyer and better homeowner. Use hi-liters and post-it notes on key pages and map out your strategy to make needed repairs as you move in and live there. _____ Don't be in a rush to sign off on the inspection as "completed." This is all about your risk and if there are lingering questions about findings during the inspection, then go get the answers first. _____ Go meet your new neighbors. This is the best time to discover that you might not like them. If you discover disturbing things about the Munster family next door (i.e. from the TV show) that you can't accept, then this is the time to change your mind and find another house. _____ Try to remain calm. It really is nerve-racking. Draw upon the expertise of your team for strength, patience and guidance. Lean on your experts to support you,,,that's why you hired them. If at any time, you cannot trust your inspector implicitly, then get a new inspector. This event really is all about YOU and YOUR FAMILY, your investment, security and future. _____ Ask lots of questions and get all your answers (preferably, in writing). _____ A properly prepared inspection report can serve as a guide to your future home maintenance. It can also be a very valuable record of your home maintenance actions. This aspect will become very important top you some day when you decide to sell this home. Store your report in an accessible location for your referral and future updates. Contacts: Email Greg Vishey at - gregvishey@comcast.net Call 586-665-0659 to make an appointment.